Get behind the wheel of your own ship and head out in search of adventure. "I like solitaire games and Solitaire Legend of the Pirates was a lot of fun and easy to learn. I would recommend this game to anyone who loves card games -- especially solitaire!" Dive into the very heart of the Caribbean sea and become a legendary pirate as you explore 12 mysterious locations filled with coveted treasure. Hours of exciting solitaire gameplay await you with varying difficulty, special bonuses and unique gold cards that make the adventure even more fun. Remove cards faster to increase your combo multiplier and rack up coins. More courageous players can complete the special tasks and earn over 15 vibrant trophies. 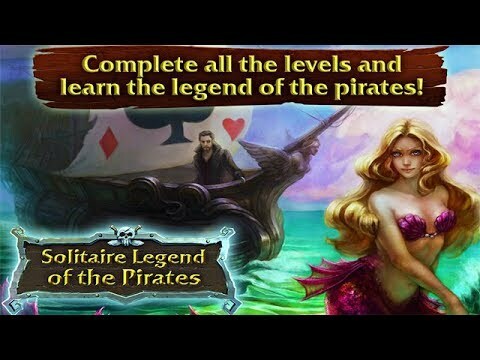 So get behind the wheel of your own ship and head out in search of adventure in Solitaire Legend of the Pirates. Travel the lands and collect resources to rebuild majestic monuments.